First time playing the state of Terengganu! Asma of DEP helped out since Ollie was expected to be late coming to the show. And sure enough he arrived at the show about 1 hour once everything’s done. Lucky we stopped over in Kuantan on the way and jammed with Asma. 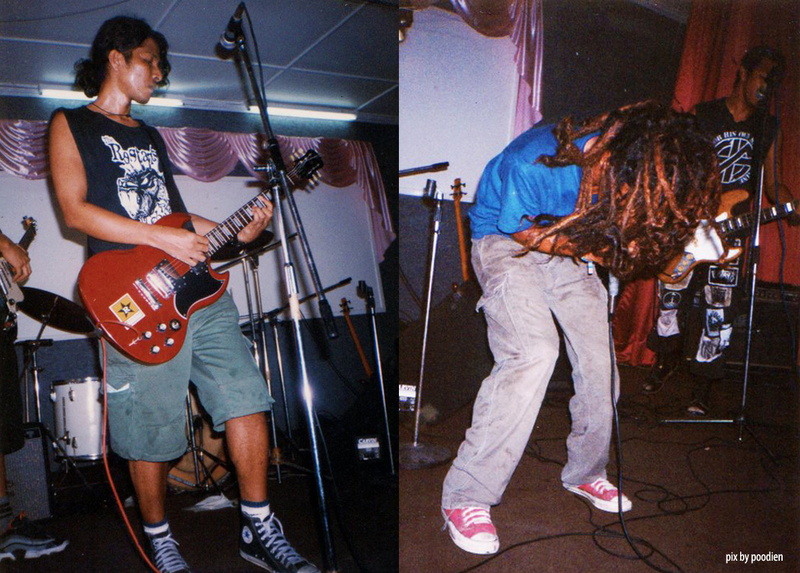 btw; Irman Hilmi (DAMAGE DIGITAL) was on 2nd guitar at this show. It was also memorable because kids were forming a line for us to “autograph” their things. It was a very uncomfortable feeling but at the end we relented, signing t-shirts, bags and what not.